STEPS TO EVERYTHING! 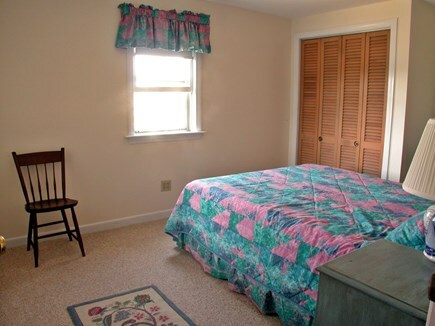 The Beach and Center are an easy walk away! 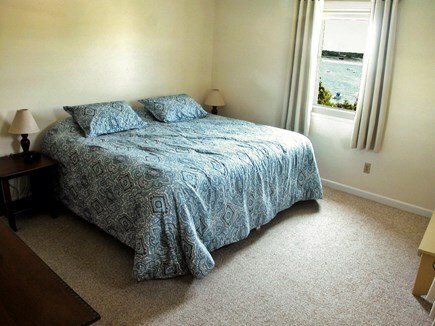 Large bright 4th Bedroom has 3 twins and deluxe fold-out bed. Beds: 2 kings, 1 queen, 3 twins, One deluxe IKEA fold-out sofa bed. 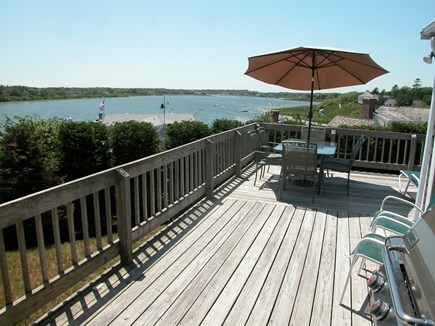 This outstanding 4 bedroom home is less than 1/10 mile from Chatham center and has commanding views of the Oyster Pond! Less than 1/4 mile to Oyster Pond Beach with small waves, lifeguards and shower - great for kids of all ages. 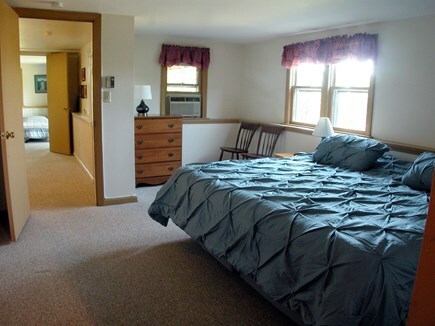 The home has four bedrooms (two with dressing rooms) and sleeps 10 comfortably. Three full baths, all with showers and tubs, plus another half bath. Central air conditioning in the living room, sun room, dining room and kitchen, with room air conditioners in all bedrooms. 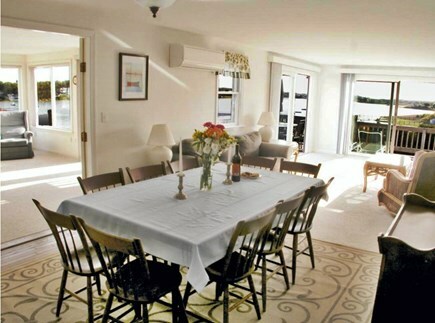 High speed wireless internet, flat screen HD TVs with HBO, wrap-around deck with gas grill for outdoor dining. Washer and dryer. Parking for five cars plus garage. Complete linen service. Easy walking distance to beach, town, restaurants, shops, Chatham A's games, community center, playground, golf, and Friday night band concerts. 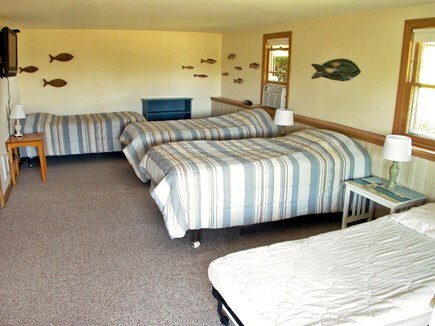 PLEASE NOTE: JULY and AUGUST RENTALS require 7 night Saturday to Saturday stays. 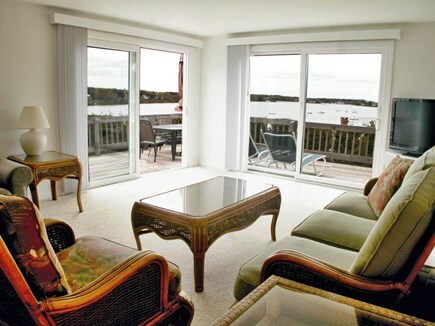 BEST LOCATION ON CAPE COD: This house is located in Chatham, the most charming and picturesque town on Cape Cod . 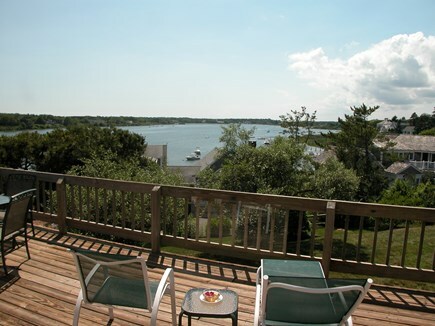 It has commanding views of the Oyster Pond and is less than 1/4 mile from the beach and less than 1/10 mile from Chatham center. Walk to everything. There is no better location on Cape Cod! 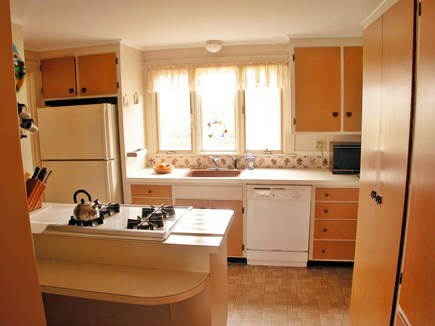 This home was the site of many happy reunions for my family over the past 40 years. We have been renting the house seasonally for nine years. We have done everything we can think of to make the house as welcoming and comfortable as possible. I am sure you and your group will love it here! 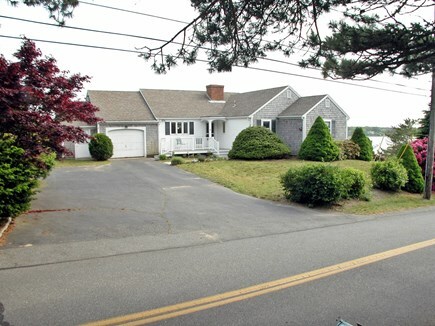 The home is in a fabulous location just outside town and a easy 1/4 mile walk to Oyster Pond Beach. The views from inside and outside the house are breathtaking. 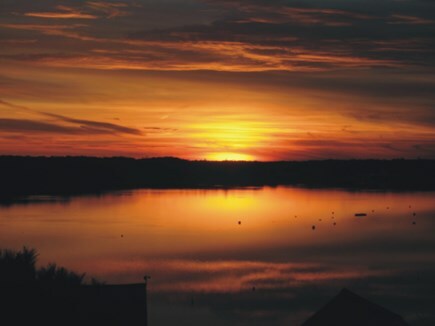 Sunsets over the water are stunning. You and your group will love this house! 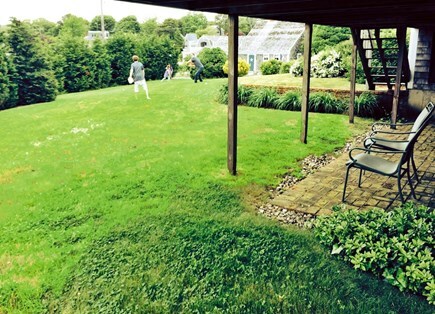 BEST LOCATION ON CAPE COD: This house is located in Chatham, the most charming and picturesque town on Cape Cod. 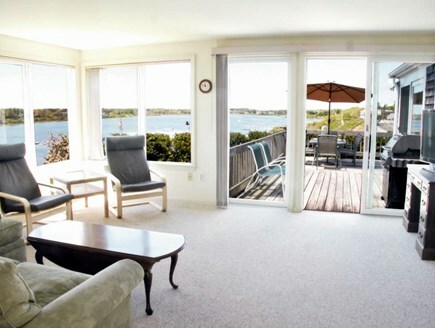 It has commanding views of the Oyster Pond and is less than 1/4 mile from the beach and less than 1/10 mile from Chatham center. Walk to everything. 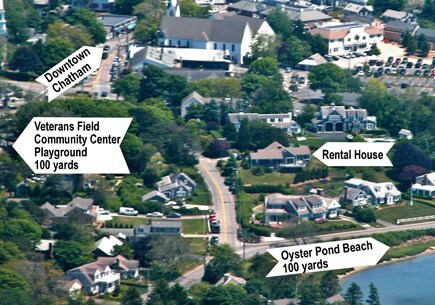 There is no better location on Cape Cod!